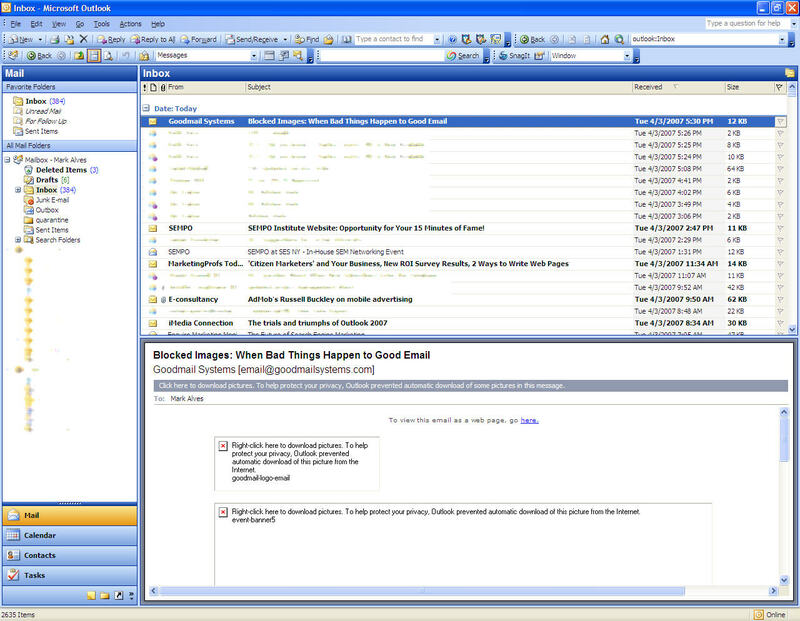 Email, email newsletters and other inbox messages. Looking for ways to improve your church’s email marketing in the coming year? 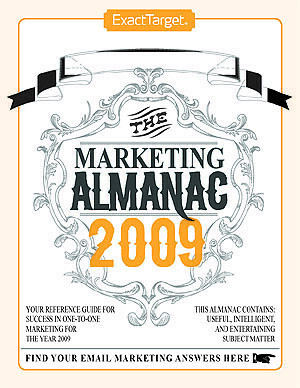 Here are the top marketing ideas and how they apply to churches from ExactTarget’s 2009 Marketing Almanac. 1. It’s going to get harder to get parishioners to notice and open your emails as more organizations turn to email even more. Email is becoming more attractive as a relatively cheaper channel compared to other options. Your competitors—other churches, entertainment venues and ecommerce—are going to crank up their email output and you might pay the price. 2. Today’s savvy audiences expect you to offer choices for keeping them informed. Users want to get updates on their own terms, not yours. They might choose email, RSS, Twitter, text messages, mobile and who knows what’s next. Pick flexible, free options such as Google Groups so your congregation can self select. 3. Cloud computing is here to stay so take advantage of it. Now’s the time to use distributed services such as Google Groups and Google Analytics. 4. Customization and personalization become must-haves. 5. Prepare to face more pressure in the workforce. Rampant layoffs have many on edge. Those still working are expected to do more with less. You may find it harder to hold onto volunteers in such an environment. But, you might also have opportunities to reach more people who turn to God in times of trouble. Make sure you’re ready to support your current volunteers and to welcome those who are in need. That’s my take on how your church can make the most of ExactTarget’s predictions. What are you going to focus on next? Does Your Church Email Address Make A Good First Impression? Isn’t that a friendly way to start a conversation with a prospect? Imagine newcomers to your church having that kind of first impression. But that’s hard to do if they’re instructed to email registration@, office@, parishoffice@ or some other less-than-welcoming address@yourchurchname.org. Who do newcomers address at your church? How Do You Check on Church Email Aliases? “Hey, can you change [something or other] @stcharleschurch.org to point to this other email address?” No problem, I replied in an email, as I logged into our email system to quickly make the change to the email alias and copied the current recipient of that email address. Except it turns out there was a problem: namely, I got a bounceback from what I thought was the current recipient. How long had this alias been forwarding to a dead account? Why hadn’t the recipient said anything about no longer wanting to be the point of contact? Gives the address an “official” look since it includes the church’s domain; it’s potentially more easy to remember than someone’s personal address, assuming the sender already remembers stcharleschurch.org. Makes site maintenance easier because we have to make only one edit in an email tool if the recipient changes as opposed to updating addresses displayed on multiple pages across the site. This situation can arise if the current recipient changes email providers or if there is a change in recipients. Allows multiple recipients to receive a message sent to one email address. This is helpful if one committee member is the lead, but others like to in effect be copied on messages. It also helps with vacation coverage. The parish retains access to the address even if the volunteer recipient leaves or loses interest. The drawback, as you can see, is monitoring that the aliases continue to be active. This situation prompted me to send messages to all of the other aliases so that I could see which ones generate a “live” response. But I wonder how often I should do this. Is quarterly enough? Are there more effective approach? I’d love to hear from others who have solved this problem. Those don’t look like particularly permanent URLs, do they? I’m hesitant to link there, wondering if I’ll have broken or off-topic links down the road. Don’t make that naming mistake when posting presentations to your site. Pick a name and directory structure that’s easy to remember, provides some context and looks like it won’t suffer from linkrot. Something like /presentations/goodmail-date/ or /avoiding-blocked-images.pdf would work better. And what’s /about/news_events_press/audio/ all about — is this for users, customers, the press? Create shared web pages – collaborative web pages within the group without having the members needing to know HTML. Pick your own colors, fonts, logos – such as to match your own website. File sharing and collaboration – central location to work on shared documents, rather than repeatedly blasting out attachments; good-bye version control problems; also includes subscriber profiles for those who want to share personal details within the group. Flexible discussions – easier to reply to specific threads or to start separate sub-discussions. This move puts Google ahead of Yahoo Groups, which previously offered a better selection of community-building tools, but with a heavy-handed emphasis on getting you to sign up for a Yahoo ID. That inflexibility made me recommend Google Groups for my parish’s listservs when we were looking for a solution to replace dreadful Topica a few years ago. Give Google Groups a(nother) look if you want the benefits of e-newsletters or discussion groups without having the enormous burden of manually managing the subscription/unsubscription process.